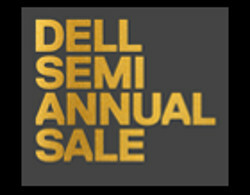 Great Canadian Rebates Blog » Dell Semi-Annual Sale! Is your laptop on its last leg? Is your monitor glitching? Does your PC keep crashing? It may be time to buy a new one. And you are in luck! Dell has an amazing sale on now. Stunning daily deals on select PCs and top electronics including laptops starting at $229. Take advantage of the savings while you can. Check back each day. Product availability and information is provided by the merchants. We take no responsibility for the accuracy of content. Promotional discounts and cash back rebates may be available when purchased through Great Canadian Rebates. This is not a review of products. Products were not tested.